Zorin A.V. Lines of Development of the Tibetan Editions of Gzungs Bsdus Collection First Printed in the Rtag Brtan Monastery Founded by Tāranātha // Vestnik RUDN, Philosophy Series. 2014, No. 1. P. 40-52. The paper is devoted to the collection of canonical, apocryphic and post-canonical texts known under the brief title Gzungs bsdus which was first printed at the Rtag brtan monastery founded by the famous figure of Tibetan Buddhism Tāranātha in 1619 as a monastic center of Jonangpa school later converted to Dge lugs pa and renamed to Dga’ ldan phun tshogs gling after Jonangpa was crushed by the government of the Fifth Dalai Lama in the mid of the 17th century. 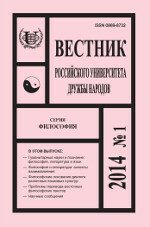 The paper is based on an unique collection of various editions of Gzungs bsdus kept at the Institute of Oriental Manuscripts, the Russian Academy of Sciences. The author discovered some editions which had never been introduced to the academic work, including the possibly oldest one printed in Mongolia and most close to the original edition (non-available) and two early Beijing editions, one of which is also close to the Rtag brtan edition while the other one was probably made right before the first official edition made in 1674 in Beijing for Kangxi, the Manchu Emperor of China. Some other sources, primarily later Tibetan editions of Gzungs bsdus available at the TBRC e-library, were also used. On the basis of comparison of all the editions found, from the earliest ones to the last Lhasa edition made in 1947, the author could present the first rather valid, from textological point of view, picture of development of this colelction of texts with two major lines clearly ascertained — the Original Tibetan one and the Imperial Beijing one. At the IOM RAS Department of Middle Eastern and Near Eastern Studies, the monograph by Dr. Shimon M. Iakerson The owners' records, inscriptions, marginal notes, manuscript copies and censor marks as a source of information on the Jewish Book of the Middle Ages and Early Modern Period (10th-17th cc. ).